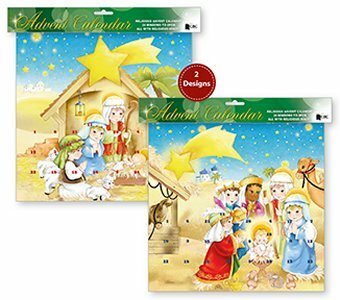 DIVINE CHRISTIAN GIFTS - Kids Joseph Mary & Baby Jesus Advent Calendar. Kids Joseph Mary & Baby Jesus Advent Calendar. Joseph Mary & Baby Jesus advent calendar.